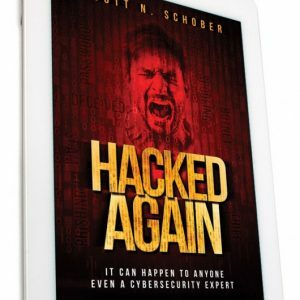 Hacked Again follows Scott Schober’s initiation by fire into our craziest period of cybersecurity hacks and scandals ever. 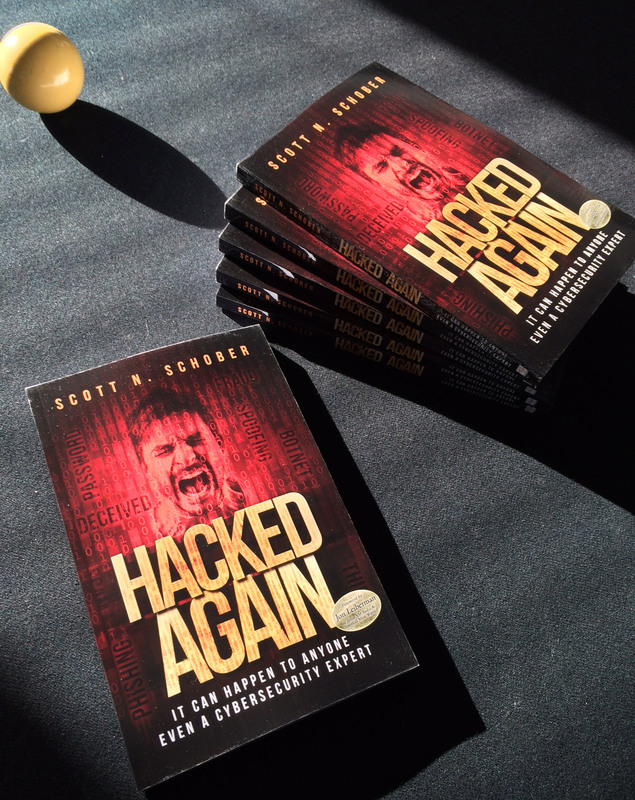 Trace through Scott’s media highlights and personal blunders as he tries to run a successful business and all while trying not get hacked again. Part cautionary tale and part cyber self-help guide, Hacked Again probes deep into the dark web for truths and surfaces to offer best practices and share stories from an expert who has lived as both a trusted source and a victim in the world of cybersecurity. Pre-Order from Amazon or get your softcover copy now direct from us – no waiting! 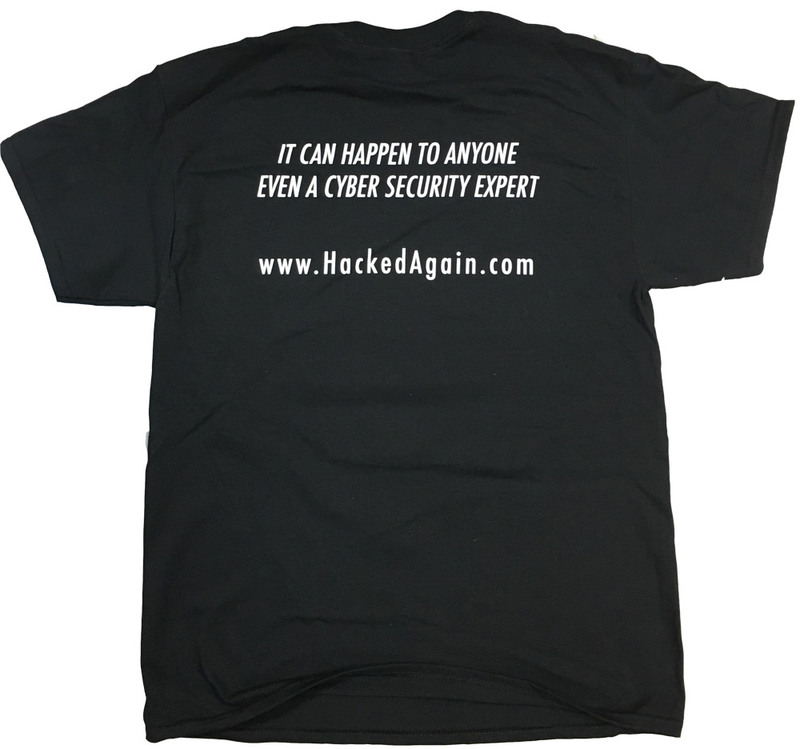 Exclusive T-Shirt for "Hacked Again" Buy Now! 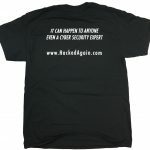 As a special thanks to our early pre-order customers, we are offering the soft cover edition of Hacked Again with a free Hacked Again t-shirt. If you prefer the hard cover edition, please place your order on that page and you will also receive your free t-shirt. Be sure to leave your book review on this page once you finish reading and also receive more special gifts when you post your review on our Amazon page too. Thanks. A new kind of war is brewing. Cyberwarfare has become a very real part of our business, our government, our technology and our culture. We’ve seen terms like hacking, cybersecurity and DDoS explode into our popular vernacular and for good reason. Real cyberattacks have increased exponentially in the past 12 months and the growing fear of them has gone off the charts. 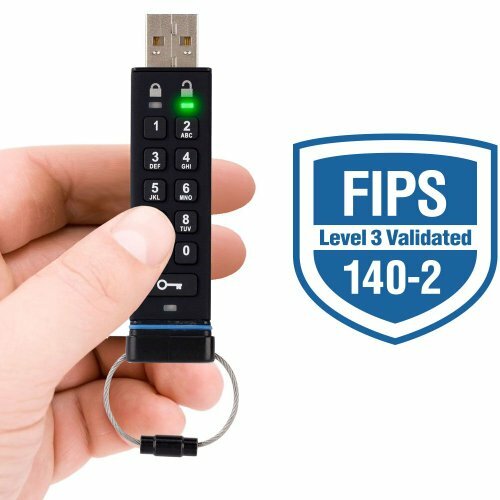 Still, many of us do not incorporate simple, best practices when it comes to things like creating passwords and engaging with social media. I want to help make things like strong passwords and VPNs a basic part of our lives, not just geek terms. Join me in this mission. Watch, follow me and spread the word to others. In the meantime, stay safe. 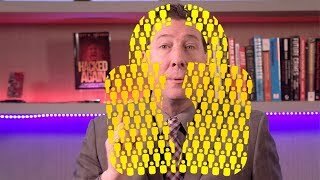 Hacked Again details the ins and outs of a cybersecurity expert and CEO of a top wireless security tech firm, Scott Schober, as he struggles to understand the motives and mayhem behind his being hacked. By day, he runs a successful security company and reports on the latest cyber breaches in the hopes of offering solace and security tips to millions of viewers. But Scott begins to realize his worst fears are only a hack away as he falls prey to an invisible enemy. 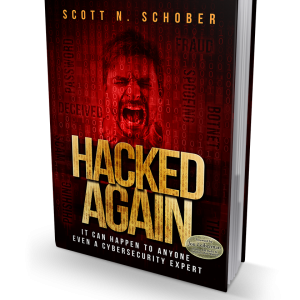 Throughout this book, Scott not only contextualizes the impact of these cyberattacks on our daily lives, but also provides expert insight and a plan of attack for fending off future security breaches. Through tips and advice gained from his own experience, Scott offers hope to others by examining his own security foibles so readers will not have to go through the same cybersecurity struggles themselves. Scott N. Schober is the President and CEO of Berkeley Varitronics Systems (BVS), a forty-year-old New Jersey-based privately held company and leading provider of advanced, world-class wireless test and security solutions. Schober also invented BVS’s cell phone detection tools, used to enforce a “no cell phone policy” in prisons and secure government facilities. Scott is a highly sought-after subject expert on the topic of cybersecurity. He is often seen on ABC News, Bloomberg TV, Al Jazeera America, CBS This Morning News, CCTV America, CNBC, CNN, Fox Business, Fox News, Good Morning America, Inside Edition, MSNBC, and many more. His precautionary advice is heard on dozens of radio stations such as NPR, XM Sirius Radio, Bloomberg Radio, and The Peggy Smedley Show. Scott has been interviewed in the Wall Street Journal, Forbes, Fortune, Success, Newsweek, USA Today, and The New York Times. 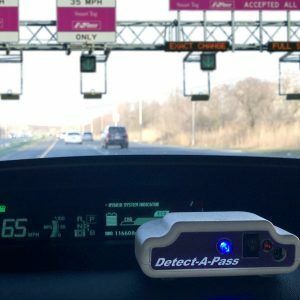 Scott has spoken at conferences on topics including the future of wireless technology, protection from insider threats, susceptibility to cyber breaches, the impact of drone technology, and distracted driving.